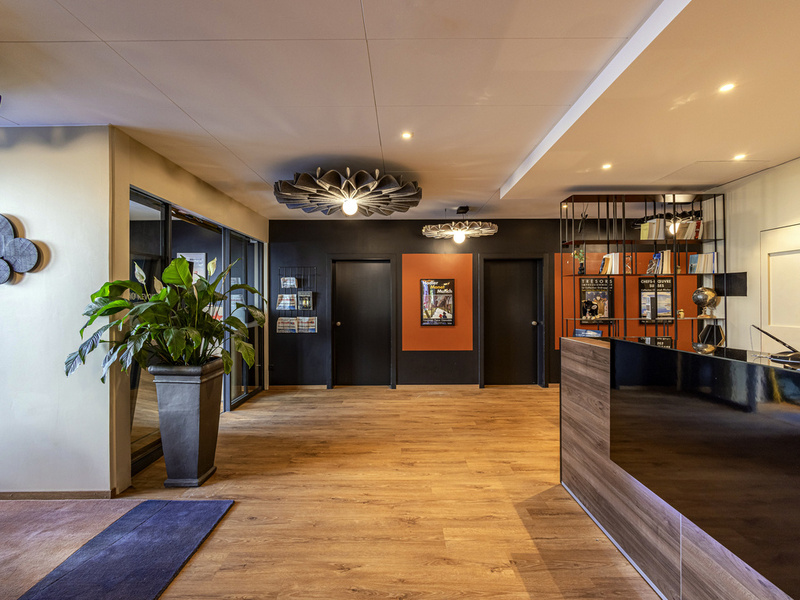 The ibis Sion is located on the outskirts of Sion, close to Tourbillon Castle and the Valère Basilica, 2km from Sion airport. You will be in the heart of the Valais, a stone's throw from the largest winter and summer sports resorts (Nendaz/Thyon/Crans-Montana). The hotel offers 71 comfortable rooms, three are suitable for people with reduce mobility, one restaurant, one bar, 24-hour snacks, one terrace and one car park. Wi-Fi access is free. Golf course and tennis courts are 1km away. Ideally located in the heart of Valais and its renowned vineyards. Close to the old town of Sion, offering numerous excursions on the canals, in the vineyards or mountains. Winter: Crans-Montana, Verbier, Anzère, 4 Vallées (skiing, snowboarding). Discover Swiss tradition at the Swiss Bistro-a chalet atmosphere complete with cows and bells. The menu of typical Swiss dishes and drinks will do the rest.